Monday 3-6pm: $6.50 select draft beer, $6.75 well drinks (excludes Margaritas, Martinis & Bloody Marys), $6.75-$7 select wines by the glass, $1.50 Oyster on the Half Shell, $5.25 Cheesy Garlic Bread, $7.25 California Roll, $7.50 Smoked Trout Quesadilla, $8.25 Salt & Pepper Calamari, $8.50 Teriyaki Mahi Sliders, $8.75 Ginger Lime Prawns. Tuesday 3-6pm: $6.50 select draft beer, $6.75 well drinks (excludes Margaritas, Martinis & Bloody Marys), $6.75-$7 select wines by the glass, $1.50 Oyster on the Half Shell, $5.25 Cheesy Garlic Bread, $7.25 California Roll, $7.50 Smoked Trout Quesadilla, $8.25 Salt & Pepper Calamari, $8.50 Teriyaki Mahi Sliders, $8.75 Ginger Lime Prawns. Wednesday 3-6pm: $6.50 select draft beer, $6.75 well drinks (excludes Margaritas, Martinis & Bloody Marys), $6.75-$7 select wines by the glass, $1.50 Oyster on the Half Shell, $5.25 Cheesy Garlic Bread, $7.25 California Roll, $7.50 Smoked Trout Quesadilla, $8.25 Salt & Pepper Calamari, $8.50 Teriyaki Mahi Sliders, $8.75 Ginger Lime Prawns. Thursday 3-6pm: $6.50 select draft beer, $6.75 well drinks (excludes Margaritas, Martinis & Bloody Marys), $6.75-$7 select wines by the glass, $1.50 Oyster on the Half Shell, $5.25 Cheesy Garlic Bread, $7.25 California Roll, $7.50 Smoked Trout Quesadilla, $8.25 Salt & Pepper Calamari, $8.50 Teriyaki Mahi Sliders, $8.75 Ginger Lime Prawns. 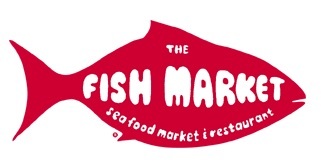 April 6, 2010 @ 9:45 a.m.
We love both of the Fish Market locations. Downtown showcases fabulous sunsets over San Diego Bay. There's nothing better than a glass of wine watching the sunset and enjoying one of their pasta dishes. Our out of town friends are always impressed. The Del Mar location across from the race track has a lot of energy and is one of my favorite lunch meeting places. Try the mango/shrimp salad. Delish!! !